Toothache, dental sensitivity, severe soft tissue infection, all of these symptoms may be indicative of the need for a root canal. While these tooth-saving treatments have a bad reputation, at the Midwest Dental Center, we’re dedicated to changing patients’ minds about every dental treatment – even root canals. 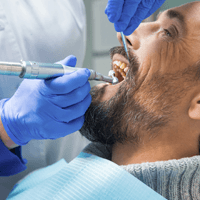 Our Midwest City dentist and team perform safe, comfortable root canal therapy to relieve pain, save a damaged tooth, and fully restore oral health. If you want to learn more about root canal therapy or any of our other pain and stress free dentistry services, call the Midwest Dental Center to schedule an appointment with us today. We look forward to helping you achieve and maintain your healthiest smile. Root canals are procedures performed when tooth decay or dental damage reach the innermost layer of the tooth called the pulp. The nerve structures of the tooth that signal pain to the brain run through the pulp tissue and connect with the rest of the body. 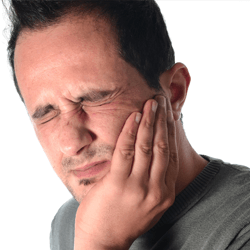 When tooth decay or damage reach the pulp and nerve tissue, the result is a severe toothache. Root canal therapy allows us to remove and replace this damaged structure and save the tooth. Root canals are performed over the course of two or more trips to our office. In many cases, the first appointment is an emergency visit scheduled in order to relieve pain. We begin by numbing the area around the tooth. Then, we drill a hole from the top of the tooth into the pulp layer. We remove the damaged pulp and nerve tissue. In some cases, we’ll need to apply an oral and/or topical antibiotic to remove infection before we complete root canal therapy. Once your tooth is free from infection, we refill the tooth with a biocompatible substance and reseal the access hole. In most cases, we also place a dental crown. This strengthens and protects the root canal treated tooth. 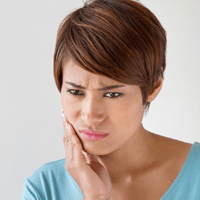 What Should I Expect After Root Canal Therapy? Following root canal treatment, most patients report feeling significant relief from the toothache and dental sensitivity they experienced leading up to their procedure. However, you may experience some swelling or sensitivity as your teeth and gums heal for the first 48 hours after treatment. If you continue to experience pain, sensitivity, or severe inflammation, please call us right away. You may need retreatment to remove additional infection. Once your smile has healed, you can go back to chewing, brushing, and flossing as usual. Your root canal treated tooth will look, feel, and function just like a healthy tooth.